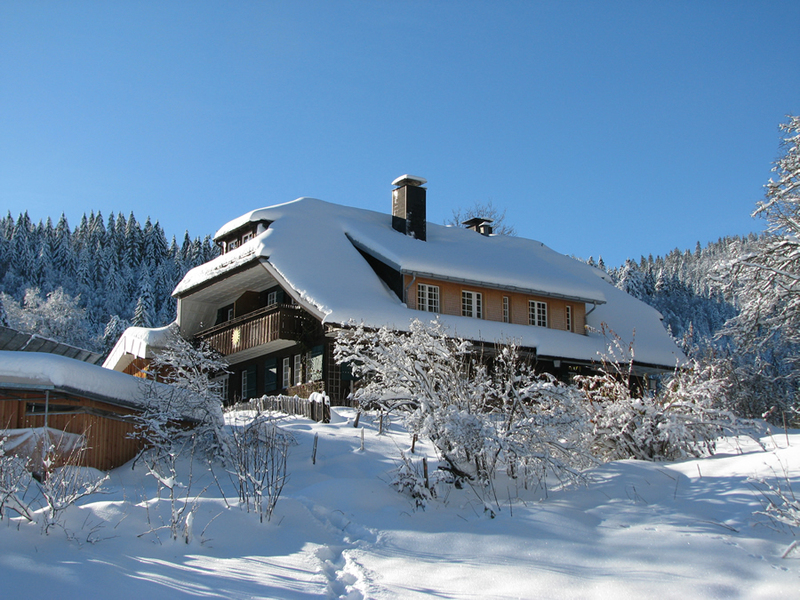 Haus Sonne is constructed in the traditional Black Forest style and all modern-day improvements have been made in an environmentally responsible manner. The abundant use of natural wood, and small touches like the tiled fireplace, give a warm and cozy feel. 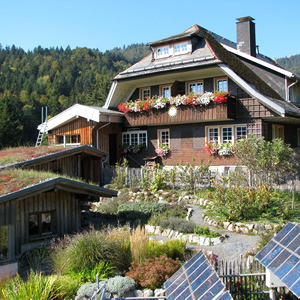 The central heating is fueled by wood, and a solar system produces hot water and electricity. All of the furniture is made from natural wood. 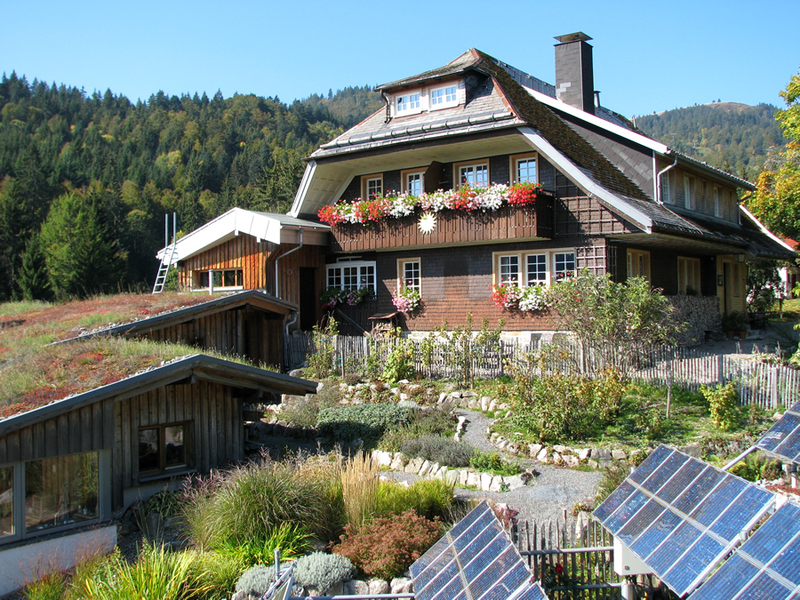 At over one thousand meters high, yet in a protected hollow, Haus Sonne provides incredible views and over 1,600 hours of sunshine a year. The surrounding countryside offers peace and quiet in unspoiled nature, easily reached by one of the many hiking trails through forests, meadows and along tiny creeks. The meals are vegetarian, and all of the ingredients are organic and carefully chosen. 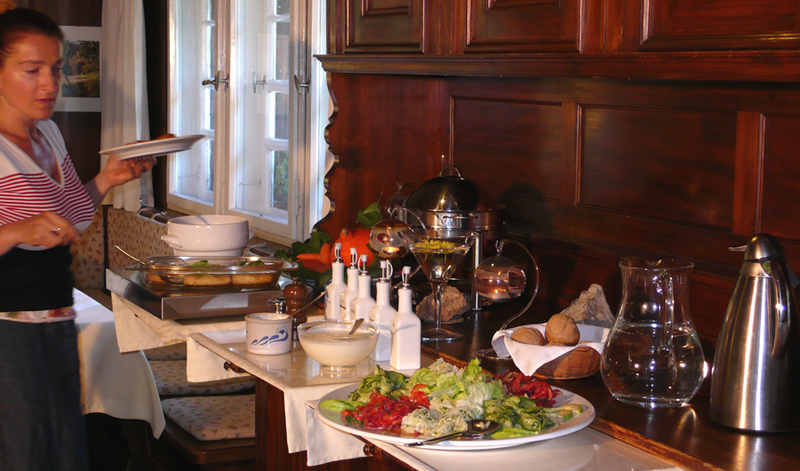 There is a bountiful breakfast buffet (including homemade bread); soup, sandwiches are available for lunch (has to be paid extra); and a delicious hot meal, with salads, is served for dinner. Besides recreation and rest, opportunities for dialogue arise spontaneously. Guests are invited to inquire into basic questions of life in an open manner and without prepared or fixed answers. Practical experimenting with alternatives to rigid thinking and behavioural patterns is the focus. On request, presentation evenings and seminars can be arranged on topics such as ecology, naturopathy and cultural history. Naturopathic consultation – such as spine therapy, homeopathy, Bowtech and Zilgrei – is also available. Haus Sonne has a good library with many books on philosophy, ecology, health and nutrition. 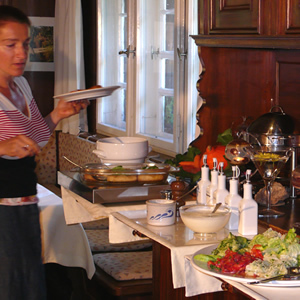 Prices include Breakfast and Dinner, and are per person. For bookings of one night only, a supplement of € 4.00 will be charged. From Freiburg: Take the train from Freiburg to Münstertal, changing in Bad Krozingen. 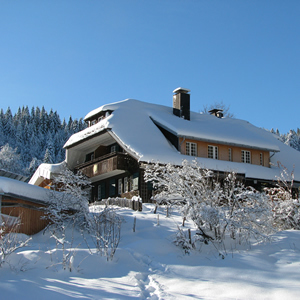 Then take the bus from Münstertal to Obermulten, changing in Wiedener Eck. From Basel: Take the train from Basel to Zell. Then take the bus from Zell to Multen, changing at Abzweigung Aitern.